I used to love a feature in the old print edition of Wizard Magazine called “Casting Call”, where they would pick a random comic or franchise that hadn’t yet had a (decent) film adaptation and speculate on who they’d like to see to play whom. In fact, it was in the those pages I first ever saw the suggestion that Patrick Stewart should play Professor X. Years before an X-Men movie was ever seriously considered a possibility. 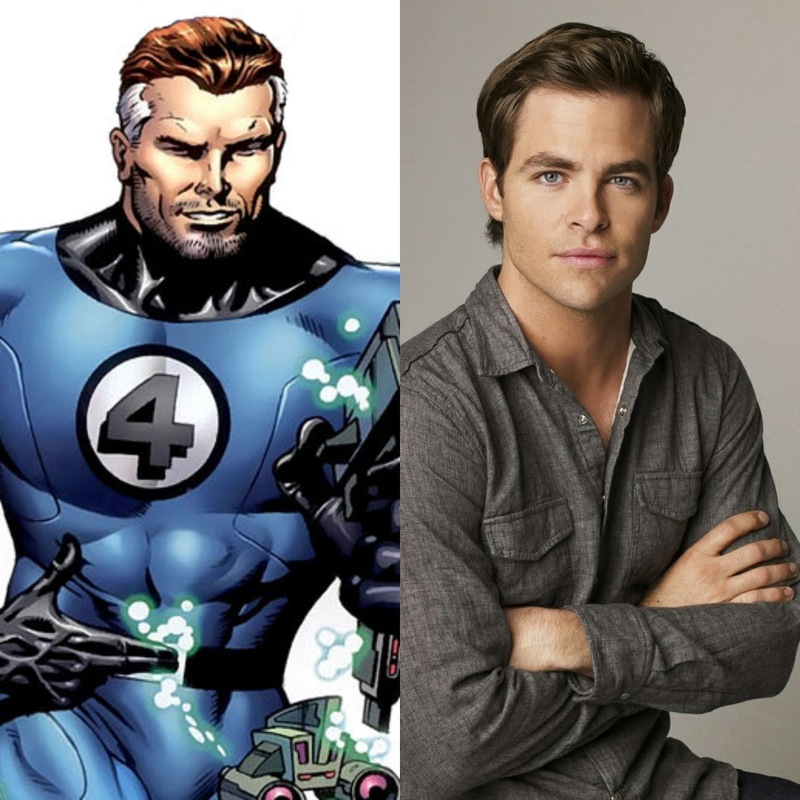 So in the spirit of those old articles, and a rebooted Fantastic Four movie a statistical inevitability, here are my fan casting choices for “F4”. (We’re running out of title variations.) Keep in mind, I had nothing against the 2005 cast , and would have been perfectly happy if they had kept them all (sans Dr. Doom). I also have yet to actually watch the Trank-reboot, as I’m waiting for a chance to watch it with a group on a large screen we have in my apartment complex and have a discussion on what we think went wrong. (I might even make a YouTube video of the discussion.) So I have nothing against this cast, either. That’s not why I’m doing this. The idea is to just to have fun coming up with new faces, which is the gist of the reboot anyway. I’ll try to keep this as plausible as possible, even though picking your actors ala carte isn’t even remotely the way casting movies work. And yes, I’m picking a black guy. Because it doesn’t bother me. And I enjoy antagonizing racists. As much I loathe rehashing origin stories, this is at least one that hasn’t been told all that often, so I don’t mind if it get’s explored again. 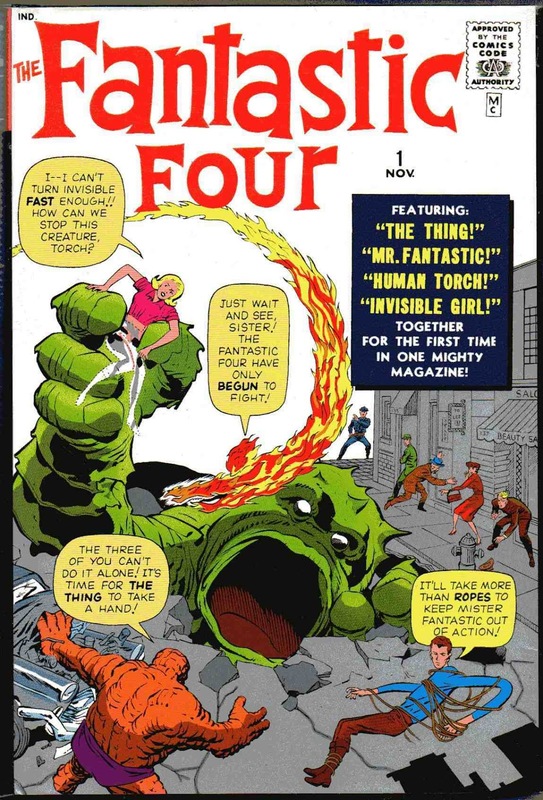 Pretty much that scene where the FF first discover they’ve got powers is classic, and can be expressed so many creative ways, it doesn’t hurt to have this tried at least one more time. 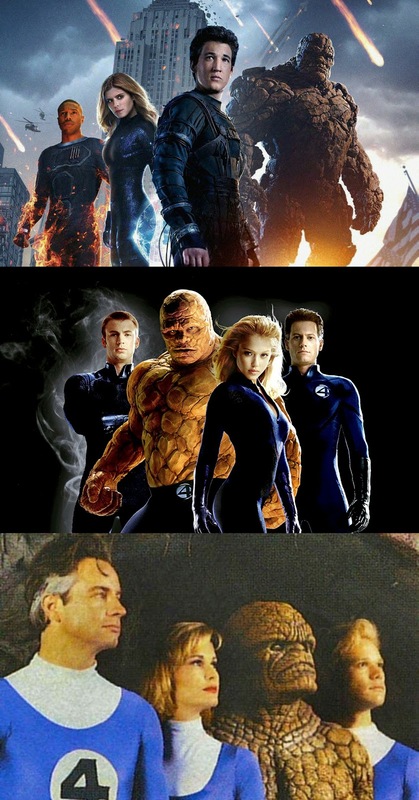 I would exclude Doom from the creation of the the FF, not because it’s a bad idea in of itself, but because this concept is a little bit cliched when it comes to comic book movies. There was a time where Hollywood refused to make a comic book movie if the main villain’s creation wasn’t tied to the hero in some improbable fashion. As if the hero wouldn’t be motivated to do anything about the villain unless the villain had someone how affronted them personally. Reed’s personal association with Doom is enough to create a situation where they’d come into conflict. Plus, I’d love to see the FF flex their powers against a monster similar to the first creature they fought in their comic debut. It’d be a great throwback, which is often obligatory in these comic film adaptations, and a classic comic moment would now be familiar to the a larger audience. I’d also like to see Doom done with a better balance between his over-the-top megalomania and modern day realism. This is a tough balance that’s easier to say than do. But I feel like attention to this detail has just been neglected in previous films. We could also totally use a sequel that didn’t have Doom in every one. If there’s was one flaw with the casting of Ioan Gruffudd, it was that he always stuck me as being a bit young for the streaks of grey. With that said, those streaks are kind hard to pull off if you didn’t come by them naturally. I’d actually pick an actor who carries himself a little bit older, while not necessarily being older than who’s playing Sue. Overall I don’t care if the cast are a bunch of 20-somethings, because a family is what it is because of the differing age differences. Pine strikes me as someone who has that range and can pull off the dorkliness required of the character, while also carrying himself as a hero. I admit it. I was instant fan of this guy. Finn could have come across as totally annoying, inept and cowardly. But Boyega managed to put a number of layers on a character who basically only ever talked about running away. He was a dynamic character even when Harrison Ford and Daisy Ridley were in the room, but did so without stepping on anyone’s toes. What Johnny’s role needs is someone who can be full of himself, while still being a compassionate, likable character. From what I’ve seen (and admittedly, I have not yet watched “Attack the Block” as of this post) Boyega can layer those attributes successfully. 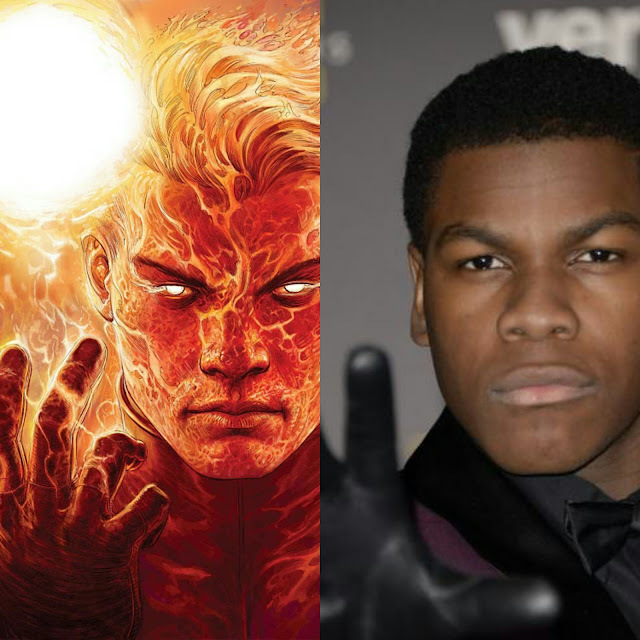 And, yes, Johnny Storm is a black guy to me now. I actually see no reason Sue has to be black, because Johnny’s black. I mean, really, I’ve lived on either side of this millennium, and blended families are nothing new to me. I’m married to a black woman, and have a mixed child. So it’s telling when the idea of a black brother and white sister is an issue for you. I’ve seen it before, and for all kinds of perfectly normal reasons. And, actually, my initial selections for Sue had all been white actresses of varying looks, with at one point me settling on Jolene Blalock. Then when I was doing a bonus section of this article, where I threw in Kerry Washington returning as Alicia Masters because I love Kerry Washington, it occurred to me what I was doing. Overlooking one of my favorite actresses because she was a different shade than the comic character. I honestly can’t think of anyone more suited to play the role. Kerry currently plays a complex character on the show Scandal, which I started watching way back when it first aired. Way back before it became synonymous with something only black women watched. It’s a great show and Kerry plays a deeply flawed character whose personal life is a mess, but whose professional life holds no peer. She goes from being kicked in the teeth by relationships she has no real control over, to confronting national terrorists, slimy politicians and murderous government agents as if she were born to it. That adeptness at switching credibly from fragile to powerful is precisely what all live action superhero adaptations need, and Sue Storm requires in particular. I would love to see Kerry take center stage as the nurturing, yet powerful, matriarch of the Marvel’s First Family. I was a big fan of Michael Chiklis even before FF, during his “The Commish” day, when he wasn’t known as a rigid, stalwart bruiser. I wasn’t a fan of the makeup in the first one, but the characterization of Ben, as with all of the FF, in that first film was dead on. 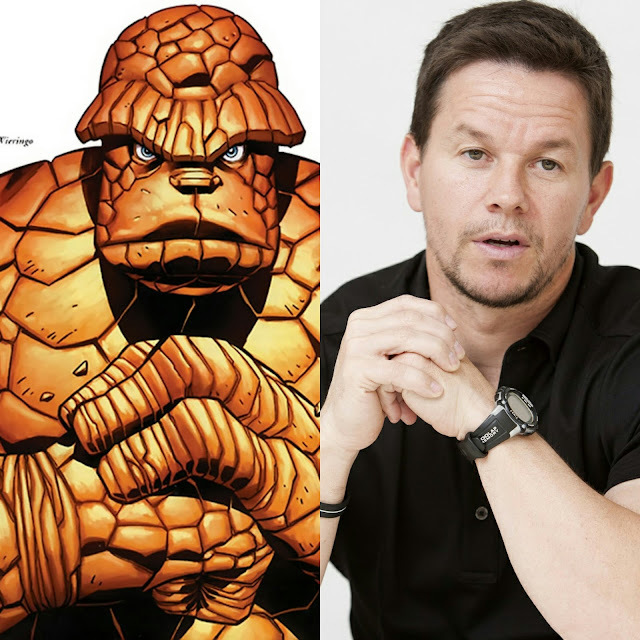 While Wahlberg isn’t exactly from Manhattan’s Lower East Side (Chiklis was from Massachusetts) I think he could easily capture that spirit, if he hasn’t already in some of his other films. Wahlberg could do a bruiser with a heart of gold any old day. And here’s where everything that could go wrong, did go wrong. Doom is a genius. Doom’s egomania is justified. Doom doesn’t fail, he only suffers setbacks. Doom has been shaped by pain and suffering most men will never know. Doom is the master of just about anything there is in the world to master: science, mysticism, politics, engineering. 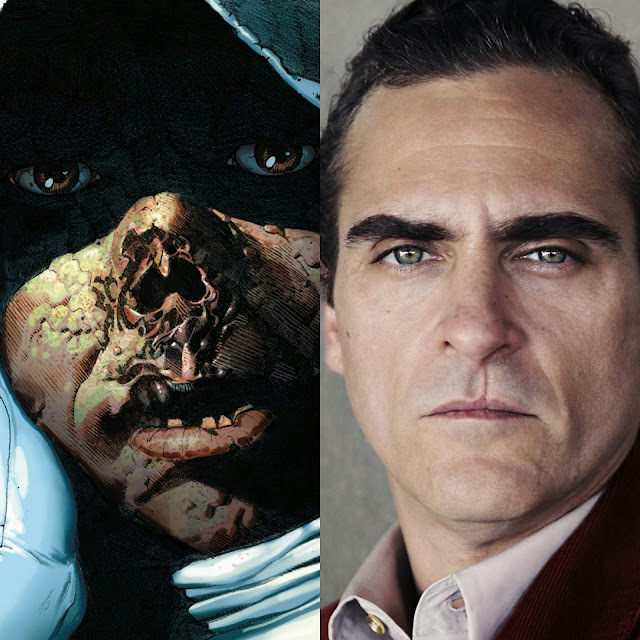 While writing is a crucial part of making this character seem less of an 80’s Saturday Morning cartoon villain, casting someone who 1) isn’t an actual egomaniac who can live without his mug actually being on screen for most of his scenes and 2) who can deliver narcissistic dialog with credibility and without camp, is at least 50% of the equation. This one took me years to settle on. And actually, I had originally picked Cumberbatch. But with “Dr. Strange” on the horizon, and frankly, Cumberbatch can’t be in every ******* movie, I decided it would be nice to see someone we hadn’t seen in a few years. And someone who could easily capture the traits I described above. True, Phoenix looks a little more “KNEEL BEFORE ZOD! !” these days, I think he could still manage the pretty boy looks of unscathed Zo–er, I mean Doom and his later scarred self. How great would it be to see Doom emote both in and out of his mask in a Phantom of the Opera kind of reveal? Casting Call didn’t used to include a director because that’s not something we really ever thought about back then in the pre-Three Superhero Movie a Year years. We were lucky if we even got a director to be interested in our kinds of flicks. 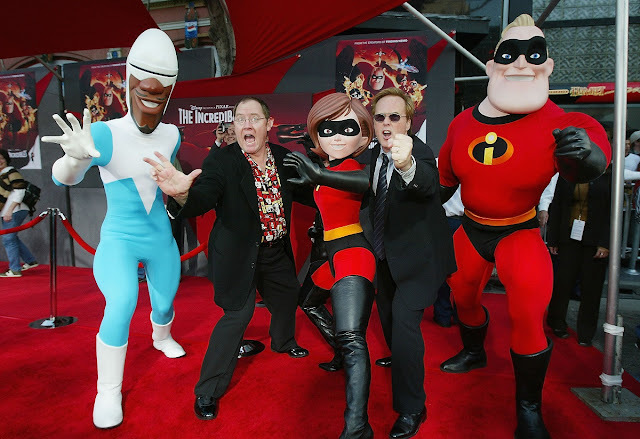 But given the choice, I would choose Brad Bird (seen here on the right with along with creative legend John Lasseter) in a heartbeat. Brad Bird understands the Fantastic Four because he basically gave us that with The Incredibles and is about to do it again with Incredibles 2. He understands the dynamics of family interwoven with the classic superhero tropes. And even gave that to us with a dash of James Bond espionage. I’d love to see what he would do with the characters who basically kicked off this particular genre. Well, there you have it. I’m not one who’s down on trying again and again to get things right. I’m not even an if it ain’t broke, don’t fix it kind of guy, because that’s the antithesis on innovation and creativity. You can’t know what not to do, unless you fail a few times in the process. Maybe even a lot of the time. Maybe even–especially even if it’s costly. There’s still all the chances in the world to make this kind of movie work. I just hope I get to see it in my lifetime.